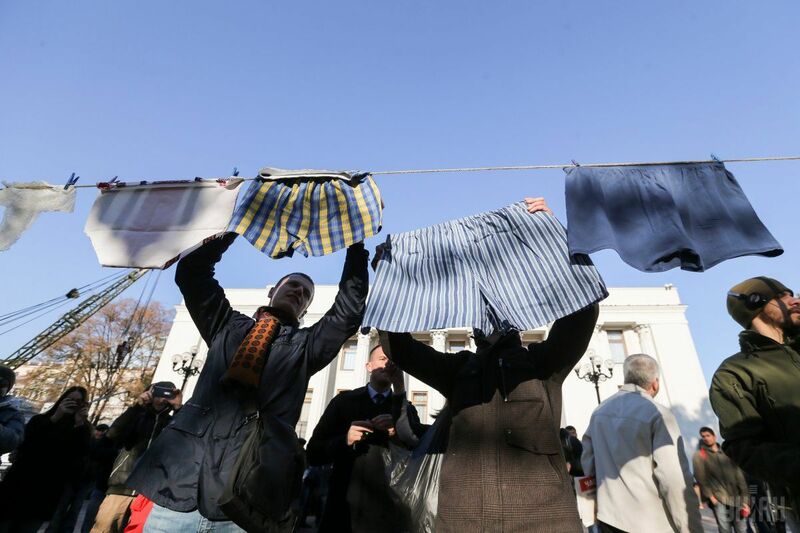 Ukrainians are attempting to shame top public officials into disclosing their financial assets by calling those who don't "sissy pants", RFE/RL reports. 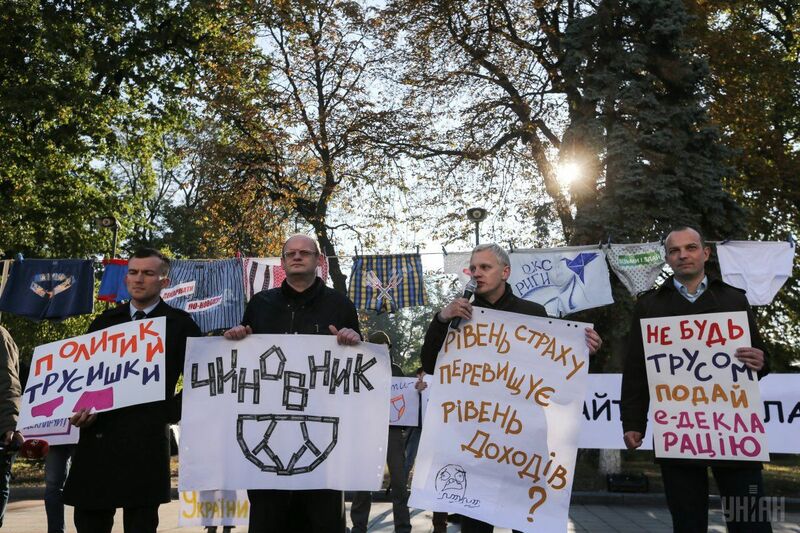 Anticorruption activists played off the word "trusi," which means both underwear and cowards in Ukrainian, to emphasize their point as they assembled in front of the parliament building in Kyiv on October 18, according to RFE/RL. 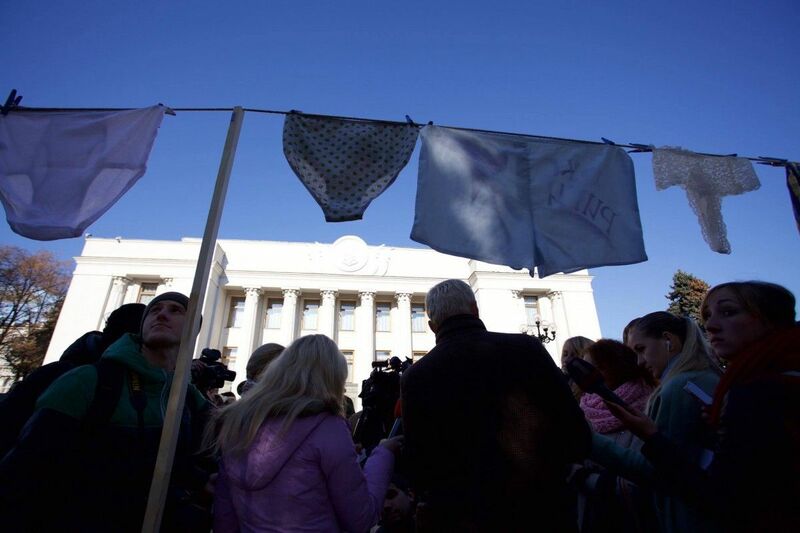 Read alsoIMF expects Ukraine officials to submit income declarations by late OctoberWith the aim of reminding bureaucrats that they are now legally required to file electronic asset declarations, the activists from a half-dozen anticorruption and reform groups hung boxers and thongs from makeshift clotheslines, waved posters adorned with underwear, and demanded in English, "Hey, sissy pants, submit your e-declarations!" 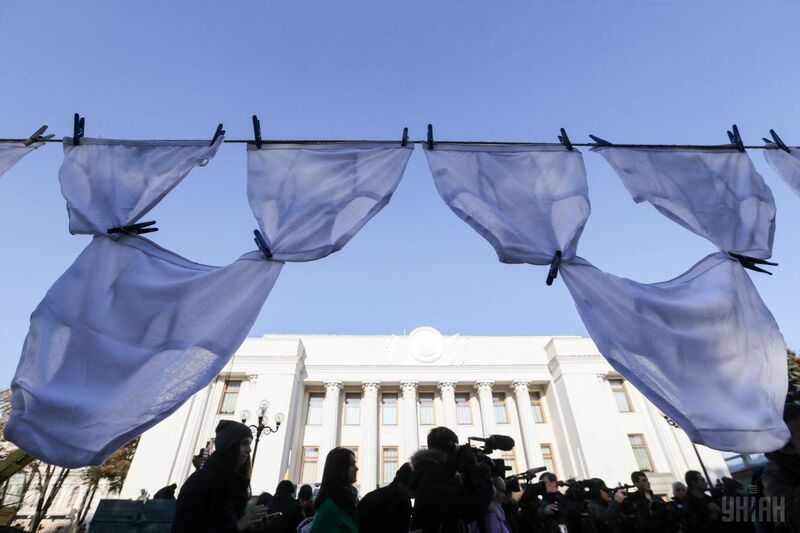 Ukraine recently implemented a new electronic system for public officials to disclose their income and assets, part of a package of reforms demanded by Ukrainian reformists as well as the country's Western backers. The idea is to prevent public officials from hiding or underestimating their earnings and possessions, and the implementation of the new law is viewed as a much needed step in fighting systemic corruption. Read alsoPM Groysman sets deadline for government's e-declarationsThe activists believe that officials should come clean to the public they serve by complying with the law, or risk exposing their own dirty laundry, so to speak. Failure to file an e-declaration risks criminal prosecution. 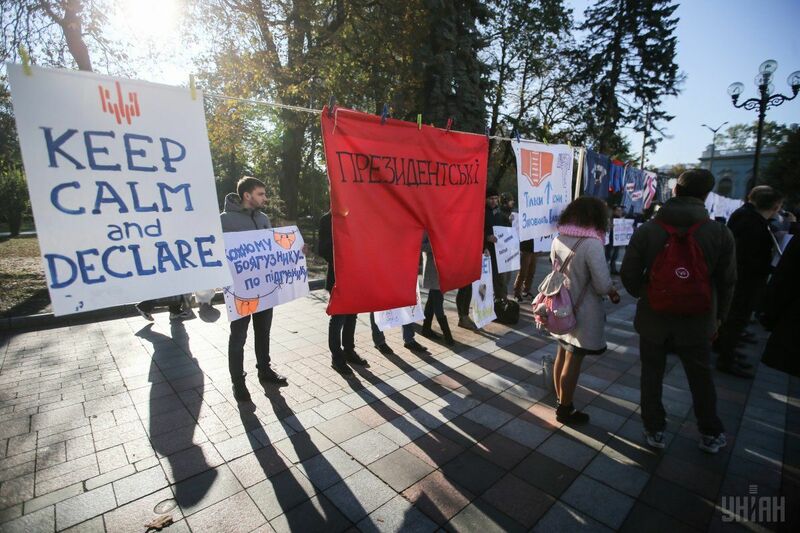 "Anyone who fails to file electronic declarations is subject to criminal liability," Vitaliy Shabunin, director of the Anticorruption Action Center (AntAC) and an organizer of the event, warned parliament deputies at the demonstration.